Travelers & Photographers ! This is for you. The lens of an ordinary camera captures the most unforgettable moments of the journey. Those moments which become the very essential fragment of the traveler’s brain and heart that can be cherished forever. Having a luxury of travelling and an art of capturing is an one amazing combination of talent. Being a nomadic, I have met amazing human beings during my travels who turned out to be as good as photographers as travelers. From ordinary cell phones camera to DSLRs, selfies to landscapes everybody has a special eye for an ordinary object or scene which clicks them and a brilliant shot comes out as a result. And most of them are doing it with so much interest that the efforts they put in are remarkable. It always saddened me that not everybody can take utilize their efforts and make some fortune out it. Well few of them do that but opportunities are limited. The number of talented photographers we have locally is huge. And I am really glad to share something which might help them to get values their efforts need it for so long now. Since I am from IT industry, It gives me immense pleasure to know that our start ups are working in everywhere they need to support our local talent and bring it on the table. I’m sure many of you must heard about shutter stock images and must have used their images free or paid. What I always felt that it always miss the “desi touch” and there was no such platform available earlier according to my research. But recently few our talented fellows have come up with this amazing platform called pakstockphoto. It is a crowd sourced gallery that embraces thousands of images captured by talented Pakistani artists. Amazing, isn’t! Come and show the world through your lens. Pakstockphoto invites and encourages all talented Pakistani photographers to contribute to our ever growing library of high quality images. Platform welcomes all individual photographers, beginners to the craft or those with years of experience, who share in passion and commitment to professional photography to be a part of this community. This community is dedicated to providing carefully crafted images designed around the needs of advertising, business and publishing clients from all over the world. Happy travelling & capturing nomads! Machines or Donkeys; We are not humans anymore! Handbook: A layman's guide to design & develop business website on Why is e-commerce not trusted in Pakistan? Shumaila Khan on So you are a ‘crazy’ woman who drives? link 188bet on So you are a ‘crazy’ woman who drives? Zong Free Internet on MY 5 Favourite Things To Do Online! 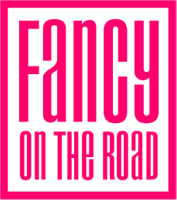 © 201 Fancy on the Road. All Rights Reserved.